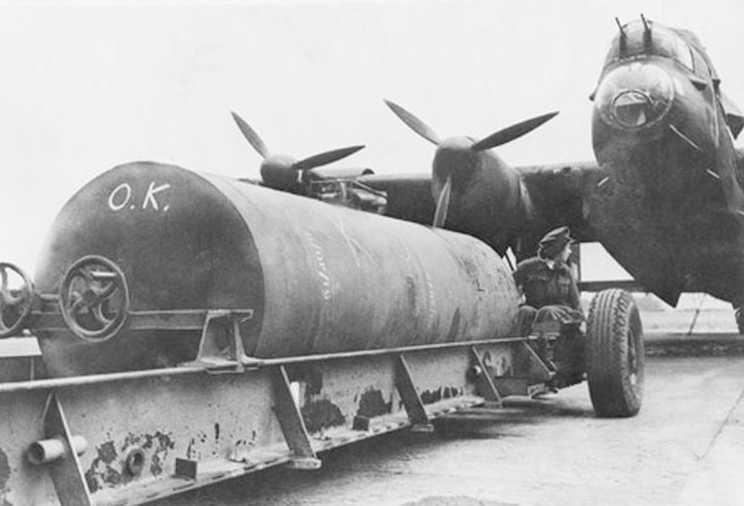 286 Lancasters took part in this mission, which devastated the whole of the center and the northwestern parts of the Bremen, including the port area. What a trip! There were no fighters whatsoever but there was lots of flak and I saw more searchlights than I have seen in my last ten trips! Flew at 1,000 ft to five degrees east again then climbed as high as possible by the target, which was 20,500 in my case and I was one of the highest. 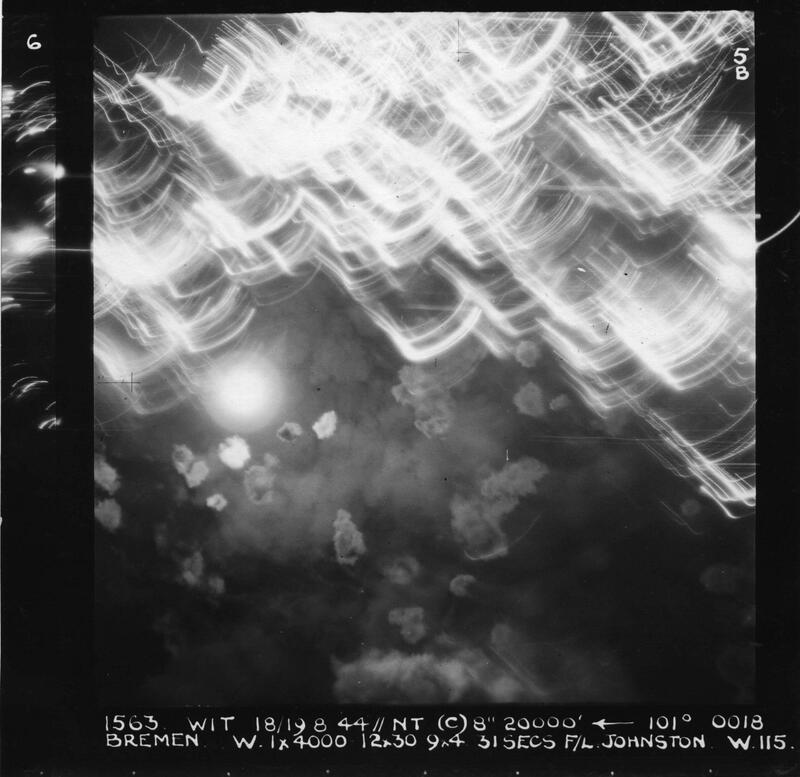 The last leg into the target was supposed to be a sort of lane between flak positions and searchlights – both of which were about five miles away on each side. It certainly was correct! I never saw such a wonderful (and scary too) sight. The hundreds of searchlights waving around with this lane down between them gave me the impression of advancing into a great vaulted dome in some cathedral – it was truly a marvelous sight. We were in searchlights a couple of times but they didn’t stick at all – we got away in a hurry though. Saw two chops, both in the target area. We left the target at 240 (300 in searchlights) mph and 1,500 feet per minute down to 1,000 feet over the sea, back to the base. It was concentrated as any I have ever seen, and was really going when we left. It was a terror raid pure and simple – any military objective was outside our aiming area which was the fully built up area of the town (I can’t say that I much enjoy the thought of what we’re doing!). Bremen has the third largest flak defences in Europe – beaten only by the Ruhr and Berlin in that order.